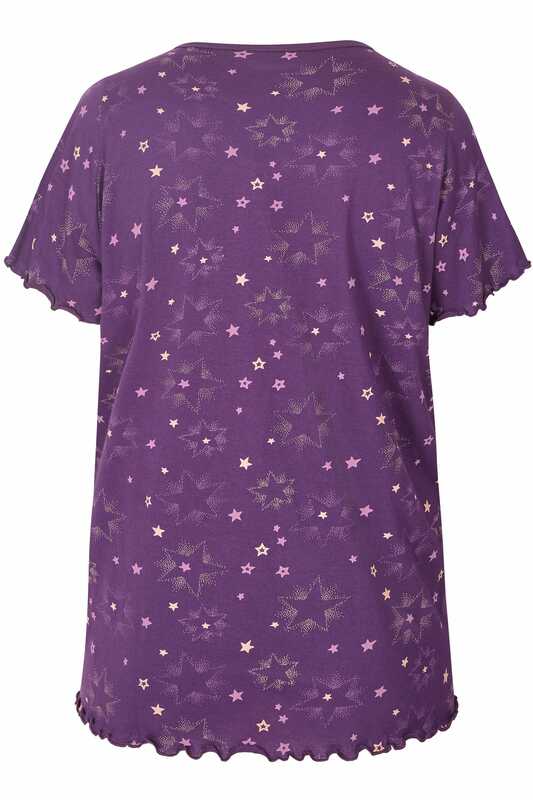 Update your nightwear collection with this cotton pyjama top. Made from a comfortable jersey fabric, its simple style features a v-neckline and short sleeves with frilled trims. Team with the matching pyjama bottoms and pair of our snug slippers. 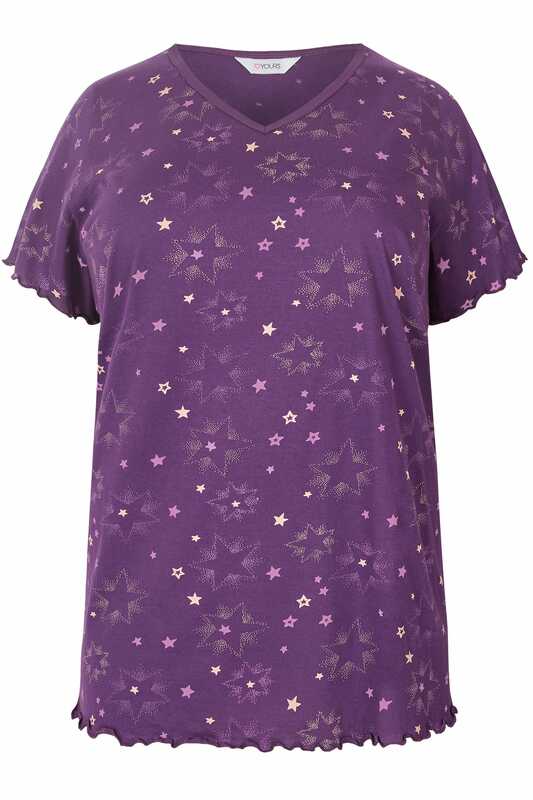 In a purple hue with an all-over star print, it is perfect for adding a pop of colour to your line-up.